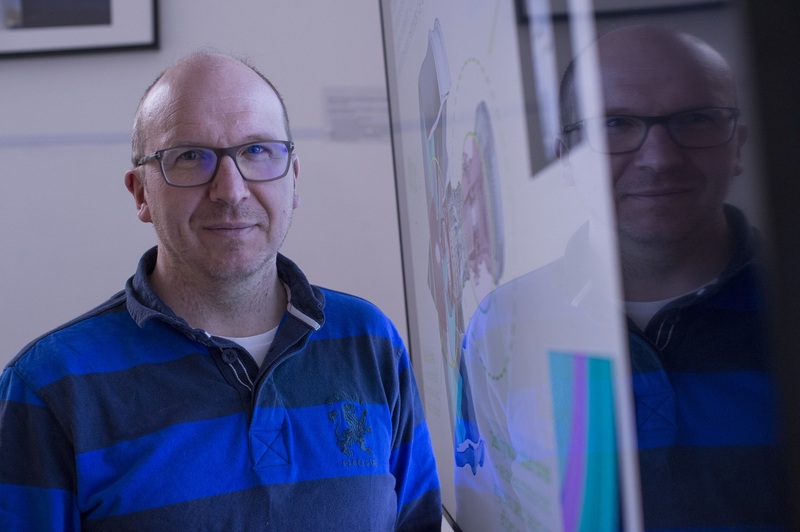 Professor Hervé Morvan, Director of the Institute for Aerospace Technology (IAT), is leaving the University of Nottingham to join one of the IAT’s longstanding industrial partners, Rolls-Royce, as Technology Strategist within the Rolls-Royce extended CTO Office*. Here, Hervé reflects on highlights of his five years leading the Institute and on his time with the Gas Turbine and Transmissions Research Centre (G2TRC, home to the Rolls-Royce Transmissions UTC, which he joined 12 years ago). Question: What are the 10 of things you have enjoyed, will miss or are proudest of in your 14 years at Nottingham? 1. The community spirit and community of belief that I have contributed to at Nottingham – I’ve worked with some great people at Nottingham from students, to professional services and technical colleagues, to fellow academics to amazing honorary professors, customers and external partners; not least Rolls-Royce, which has inspired me always and which I have felt privileged to work with through the years. It is therefore perhaps unsurprising that I have chosen to join them. But I will miss people. 2. 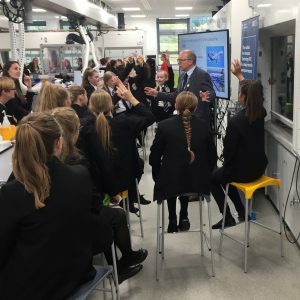 Inspiring people, creating belief – from students to colleagues to partners, but also the local community and by being an ambassador using all modern tools available, including social media with very active Twitter and LinkedIn feeds. 3. Pushing boundaries – believing that it is possible, convincing others and making it happen; that the glass is always half full and that there are opportunities to be seized and solutions to be found. 4. Working in aerospace at such exciting times, with great colleagues, and having been one of the artisans of Aerospace at Nottingham – turning (my) passion into a shared reality, inspiring colleagues and partners, contributing to delivering results, and seeing their transformative effects on the sector and on communities; from raising research income, to raising impact and reputation, to engaging students through the creation of the new aerospace undergraduate course which started with our Industrial Advisory Board, to driving the agenda as special advisor to ATI (Aerospace Technology Institute) and a Director to the MAA, (Midlands Aerospace Alliance) or as a speaker at Wonder or in schools for STEM activities… or again supporting the delivery of the LZR Racer suit with Speedo’s Aqualab back in 2008 for example. 5. Academically, the Computational Fluid Dynamics (CFD) and thermofluids programme I have created and led for Rolls-Royce – and the genuine relation of trust that was formed between us that led to my professorship and to the next stage of my career now. 6. The transformation of the Rolls-Royce University Technology Centre (UTC) and the creation of G2TRC (Gas Turbine and Transmissions Research Centre), now host to the UTC and the first Aerospace Technology Institute (ATI) national facility – the confidence and belief that exists in that team, the continually growing quality of the technical and of the science, the staff development across professional/technical/researchers/academics and the genuine team effort that comes with it, the impact of our work and the amazing community spirit achieved all at once – a massive step-up in every KPI (from £3m to £22m portfolio; from running single programmes sequentially to running four to five in parallel; the professionalisation of the group and the creation of an engineering team (7) and a programme management team (3); the quality of the work, with increasing citation metrics too, and the recognition that has come with it from our partners, including beyond Rolls-Royce and beyond the UK, e.g. with contracts with engine manufacturers in Northern America now. 7. Leading the formative years of the IAT changing perceptions, internally and externally, and delivering a solid innovation strategy for the University and the sector – installing Nottingham as a trusted partner in the aerospace landscape to deliver innovation, in particular through Clean Sky 2, and scaling our research from a scattered £30m portfolio to a strategically developed £80m around more electric aircraft, future propulsion and advanced manufacturing; but also delivering skills through two Innovative Training Networks (ITNs) with 36 Early Stage Researchers or ESRs and the formation of a new aerospace engineering course. 8. Turning innovation delivery in aerospace with the IAT (see 7) into thought leadership – stepping up and shaping the future of propulsion, internally with the Propulsion Futures Beacon of Excellence, a direct extension of the IAT future propulsion agenda, and externally with the ATI and the Engineering and Physical Sciences Research Council (EPSRC), and more recently, with the creation of the ATI- and EPSRC-supported National Aerospace Research Consortium (NARC) with four other university partners, which is potentially transformative way beyond the University… nationally and internationally too; and which we have spear-headed. 9. 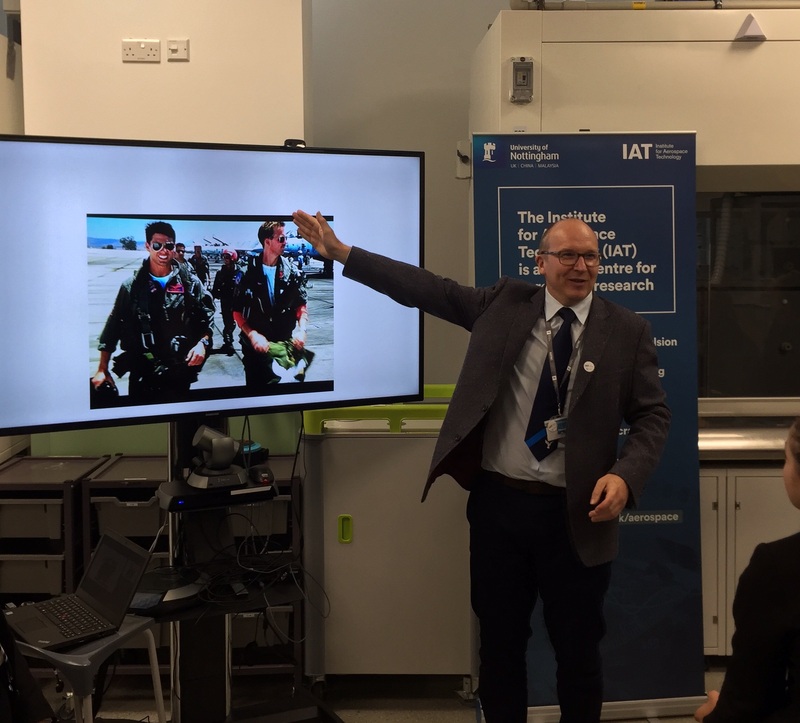 Giving back… I have loved Wonder, where the University’s researchers engage with the wider community, the Farnborough and Paris air shows, engaging with AeroSoc in M3, working with the Royal Aeronautical Society to create the Nottingham Branch at the IAT**, going into schools but also helping colleagues develop. I hope that this may be a role I can continue to play for the University as a visiting professor. ‘School of Rock’? –STEM** activities with school children, September 2017; even the teachers are asking questions on that one! 10. Being good enough for and worthy of being offered the job I have been offered… and looking forward to seizing the opportunity with both hands and continuing to make an impact, hoping to continue to apply My Top 10 above, only in a new guise. The passion runs deep. Q: And the challenges you leave? 1. 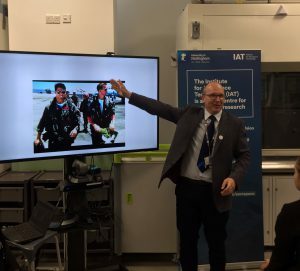 Turning the seeds of thought leadership into reality – the realisation of National Aerospace Research Consortium and the Nottingham future propulsion agenda, and seeing a leadership propulsion programme born in the UK that may have stemmed/benefited from our initiative and ideas, taken up by new teams. 2. For new people to step up and dream the way we dreamt and inspire others the way we tried to do, and take G2TRC, the IAT, the future propulsion and NAC agenda and spirits way bigger and better than I did… and for me sit in one aircraft, one day, flying some of those ideas made by Rolls-Royce. Farewell to all; blue skies and fair winds, and Godspeed! *Hervé will be leaving Nottingham at the end of March 2018 to take on a new role of Technology Strategy Manager for the CTO Office at Rolls-Royce, following 14 years of service at Nottingham, the supervision of some 37 PhD students (some ongoing), significant research activities and revenue (over £20m), and associated innovation in aerospace, mainly with Rolls-Royce. **The next big RAeS Nottingham Branch event is the Captain Albert Ball, VC, Memorial Lecture, to be given by the Red Arrows on 14 March, to inspire youth in the Year of Engineering 2018 and on the centenary of the Royal Air Force (1 April 2018).